Come out and watch the Big Green Machine in their first football game performance this year! The band will perform the pregame show at approximately 6:30 PM on Friday, August 24, 2018 at Soldiers and Sailors Memorial Park in Mechanicsburg, PA. View the Google Map. We would like to invite you to the last band concert of the school year on Thursday, May 3, 2018. 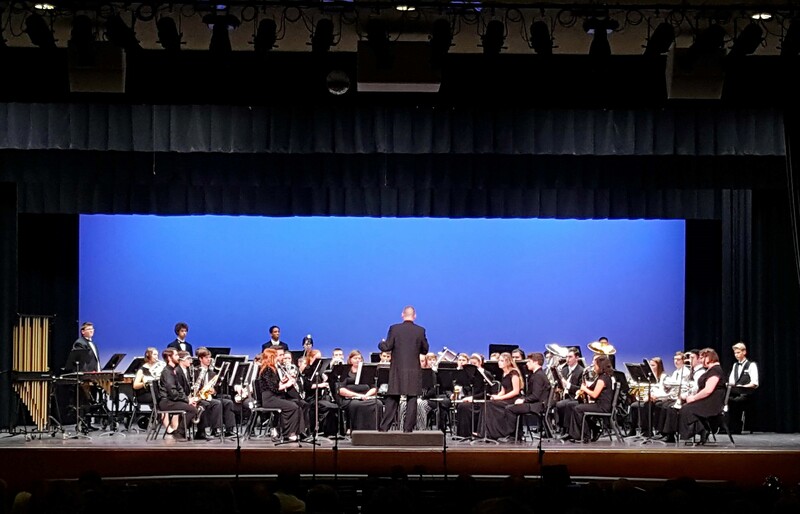 This concert features both Concert Band and Symphonic Band and will be held at 7:30 PM in the Barr Auditorium. Come out for a wonderful evening of music and support our band students and the music program! Congratulations to all the band members involved in the CHS Shakespeare Troupe’s production of Merry Wives of Windsor! The show was amazing and everyone did a great job! For those who didn’t get to see it last night, there are shows tonight and Saturday in the Swartz auditorium, with the pre-show starting at 7:15 PM and the main show starting at 7:30 PM. Come out and support our very talented band students and the rest of the cast of Merry Wives! The “Music In Our Schools Concert” scheduled for Tuesday, March 20, 2018 has been canceled due to inclement weather. At this time a new date is unlikely because of scheduling issues. If this changes, information will be conveyed on the website. Congratulations to all of our band students (and staff) who were involved in the production of the musical Big Fish! Everyone, from cast to pit, did an amazing job!